When it comes to fun, nothing beats ziplining. Spending your days running on the treadmill at the gym can make you feel like a hamster on a wheel, and if you’re looking for a more entertaining way to burn those calories, you’ve come to the right place. Surprisingly enough, ziplining is actually an excellent way to burn calories. 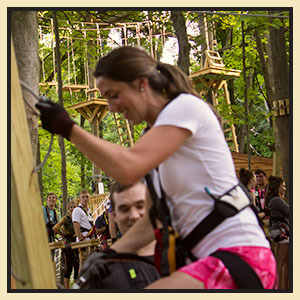 Even though the zipline does most of the work, you’ll be pushed to hike and climb up to the summit, and you’ll need to use your arms to brake once you’re on the zipline. This increases your heart rate and burns more calories. One of the reasons why so many people who have tried ziplining do it again and again is the adrenaline rush that accompanies it. With that first step off of the platform, you’ll start to feel the adrenaline surge in your body, giving you a big boost of energy and strength, and decreasing your sensitivity to pain. The natural high you get from the adrenaline rush will encourage you to keep trying new things and going on new adventures, which is incredible for your overall health. Let’s face it, life can get stressful at times. Even if you’re not about to take on a stressful event, like moving to a new home or having a baby, simple, everyday things, like having a project due at work or sitting in traffic, can leave you with excess stress. Nothing hurts your health like being stressed out a regular basis does; however, figuring out how to de-stress can be tough, especially if yoga or meditation isn’t your thing. One great way to get rid of excess stress is to go ziplining. The adrenaline boost you get will instantly erase your stress, and when you combine that adrenaline boost with fresh air and the peacefulness of being out in nature, it makes ziplining an even more effective stress buster. 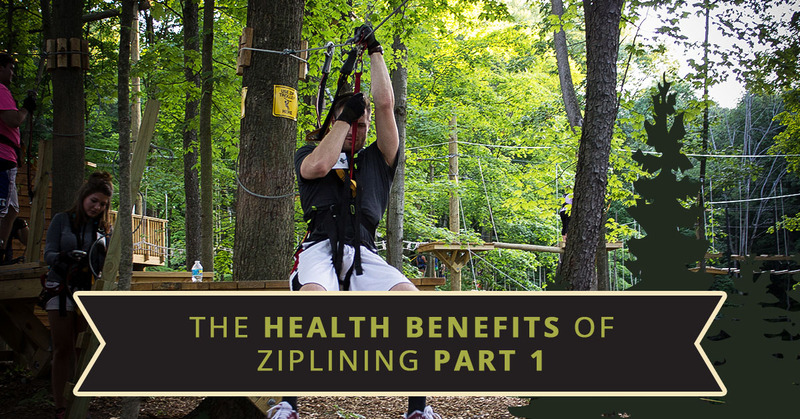 These are just a few of the many health benefits that come with ziplining. Want to learn about more health benefits? Make sure you stay tuned for our next blog. In the meantime, if you’re ready to experience the wonders of flying through the trees, it’s time to book your aerial adventure with TreeRunner Raleigh today. We offer the best treetop experiences of any adventure park around, and we have something for the whole family to enjoy.